Wykkyd Mailbox adds a REPLY feature AND it is also an automated return system for in game mail that you receive in a certain format, to send it right back to the sender. TESO prevents a player from mailing themself. This addon lets 2 players circumvent that by running this addon and simply mailing their gear to each other for return. Save To Default - This feature saves a snapshot of your logged in character's CURRENT settings as a save set named SYSTEM DEFAULT. Load System Default - This loads the current SYSTEM DEFAULT as your character's settings and effectively sets your character to MIMIC the SYSTEM DEFAULT. This behaves exactly like Mimic below, with the exception that the SYSTEM DEFAULT only ever changes when you manually save to it from any character, by clicking Save To Default. Mimic... - This sets the current logged in character to adopt the settings of another character until this value is changed. This causes the logged in character's saved settings to reset every time you log in or Reload UI to be like the mimic'ed character. If you set George to mimic Bob, as you save settings on Bob while playing those settings will become George's settings too whenever you log into George. As you play George and change his settings manually, those changes become temporary unless you clear the Mimic box. This affords some fairly awesome opportunities for your play sessions. Wykkyd's Preferences (where available) - This will Reload UI and set your active character to the basic settings that Wykkyd uses for that addon for his characters as his STARTING point, he customizes each character from there and you are encouraged to also do so. Use of SYSTEM DEFAULT allows you to basically create system-wide default settings. I say "system" because these settings are not filtered by account name. So if three people share your computer, they all adopt the system defaults (if they selectively choose to do so). This is a "neat trick" for people with multiple accounts as it lets you share settings across all of them. For example, if you log into your first character and set every Wykkyd addon up the way you want. Then in each you click "Save To Default", one by one. You've now established your "baseline", if you will. You can then log into each character you have (regardless of number of accounts), including that same first character, and inside each, in each addon, click "Load System Default". Now every single character will use the same settings. In fact, because you saved defaults from character 1 and then set character 1 to use those same defaults, even that character is inheriting the SYSTEM DEFAULT every single time it loads. This means if you're on character 7 and decide to change your default for all, all you have to do is tweak your settings and click "Save To Default" and every single character you set up this way gets those settings automatically. WARNING: System Default, and Mimic, can be dangerous. As of this time this ALSO includes saved item sets, gear sets, quest header settings, tracked achievements... IE: it includes data saved by the addons too. THIS WILL BE CHANGING IN THE FUTURE to be more intuitive and robust. But I didn't want to delay this feature until that was 100% polished. After all, this is fairly useful as is. How/When does mail get returned? Bounce and Return don't have to be formatted in any special way. They can be all lower case, all upper case, mixed case or even part of other words. The first 6 characters of the subject line just has to be Return or Bounce (case insensitive). No, this will not return mail that doesn't have attachments (they can't be returned). No, this will not return mail that has been returned to you. No, this won’t return system mail like crafting resources or collector's edition items. Reply button will now work if clicked. Note: Due to the current method used to create the Reply button, if the Sendmail Icon is clicked to move to the outbox tab while the reply button is present on the screen, an API error message will appear. Just exit mail and re-enter mail to continue. I will be re-writing the keystrip code in Mailbox to eliminate this issue. Updates to supporting documentation reflecting the transition from Wykkyd to Ravalox and Balkoth under the name of Exodus Code Group. Change-Log will be maintained at WykkydGaming.com in the blog section, under the Change Log category. Last edited by vecny.samotar : 05/23/18 at 11:44 AM. to line 573 in LibWykkydFactory4.lua helped me get rid of it. I get the same error. I created a bug report and patch at http://www.esoui.com/portal.php?id=1...bug&bugid=1785. If you feel comfortable editing the lua code yourself, there are instructions at that link. Thanks for this fix. I noticed however that if you click on the 'send' tab or press 'r' to reply and then change your mind and go back to the inbox, the 'r' (reply) button is no longer available unless you click on another mail and then click back to the first mail. Would it be possible to add the ability that would save a copy of in game mails that you send. MailR does that but that addon has gotten buggy. I'd rather just use 1 less addon that combined the features you offer as well as the copy if possible. As soon as I can sort through my CPU issues, I will be working with Calia to merge Mailbox/MailR and possibly GodSend together to make a super mailbox with all the features. 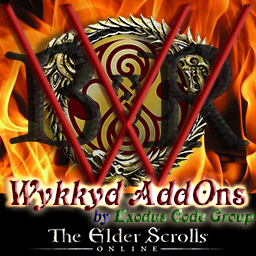 Are the ESO AddOns you're using Ravalox' Wykkyd AddOns? Last edited by kermudgen : 06/28/16 at 12:46 PM. Duplicate Keybind: UI_SHORTCUT_SECONDARY. Before: mailInbox (Reply). After: mailSend (Send). I disable the MailBox and everything is working as intended, but once I re-enable this addon it does the above every time. That would be correct. You can't have two addons that are performing the same function like that. I would advise turning off the feature in the tools addon ... Mailbox' only purpose is the Reply button, RTS and overriding the confirmation messages. thank you for your great work, I'm relying on your add-ons quite heavily. However, whenever I would open the send-mail part of the mailbox for the first time, I would get an error that an assertion failed in ZO_STRIP_KEYBIND or some such. in line 62 of the addon lua - boom, error gone. However, I have to report yet another bug - occasionally mails get "stuck", and I believe that this add-on is to blame. Since I refuse to live without it, I would appreciate it if you looked into the matter. I haven't been able to reproduce this properly, however, I believe that the best way of doing it is to open the mailbox via hotkey directly after receiving a bouncie (mine is usually sent to the sendMail tab instead of the receiveMail tab), then quickly closing it again before the add-on can fire (or entering combat). The mail will then remain broken (inaccessible, and not marked read) until the next relog. I'd love to see a fix for that! Hey, your work is really great and I'm super thankful for all you've done! Keep it up! I recently started using your addon more and a feature I really wanted to have was a frictionless way to leverage the auto-return feature. Using this mod as a template I went out and implemented it. Basically you set a setting for your "penpal" recipient account name, and make keybindings for normal and bounce emails. Pressing the keybinding brings you to the mail screen and prefills the recipient and subject. Really pretty simple stuff. I was wondering if you would be interested in me making my addon part of this one? If not I can polish it up and publish it separately, no problem. Something to keep in mind when your reporting/chasing these bugs, is that the "Gaming Suite" is not an individual add-on. Its a package consisting of multiple add-ons. Whether your trying to narrow down the cause of a bug yourself or your trying to report one to the authors/devs, you'll find it less confusing if you approach them as individual add-ons. I followed all the instructions that Pills posted and was still getting an error (albeit a different one), so I deleted the saved variables file ZO_somethingsomething.lua and put back the original Wykkyd Mailbox, and now the error is gone, and the addon seems to function again. Would Pills or someone a bit more savvy verify this or perhaps explain why? So is this still working for you (can you successfully use the reply button)? I was not able to reproduce your results, is there any possibility that you modified or cleared other files as part of the troubleshooting you did? just an FYI: I have fixed the Assertion failure bug (I found a conflict in the code due to the use of a key mapping already in play by ZOS UI; this was exposed because the key mapping was not being cleared when it should have been. The new update of Mailbox should have full reply operation once again with no pesky ZOS popups! Look for the updated code in the next few days. I guess I don't actually ever use the reply button, and the one time i did I got an error (in the past). I think removing the ZO_Ingame.lua may have cleared that error. I did a lot of hacking at my variables when it happened. I was really trying to fix the assertion error, and I'm not getting it at all, but I'm also not using the reply button (if that has anything to do with it). Anyway I'm glad you're still around and appreciate the work you're doing. Good to have someone who actually knows what they're doing on this, instead of me just slashing pseudo-randomly at your code. If you like what you see and want more of it, feel free to donate. Lack of donations will certainly not stop me from doing what I do. However, a flood of donations would certainly shift priorities The choice is yours. My primary hope is that you enjoy my work as much as I do. Please post bug reports and feature requests on the comments TAB for this Add-On.